Ups and Downs Southwest is a parent-led charity, based in Somerset, who provide information, advice and support for children with Down Syndrome to parents, carers, families and professionals throughout the South West region. The charity aims to enable children with Down Syndrome to enjoy happy, healthy and fulfilling lives in which they can reach their full potential. Three teams from Higos took part in the 21 Day Challenge which was launched on World Down Syndrome Day (21 March 2018). 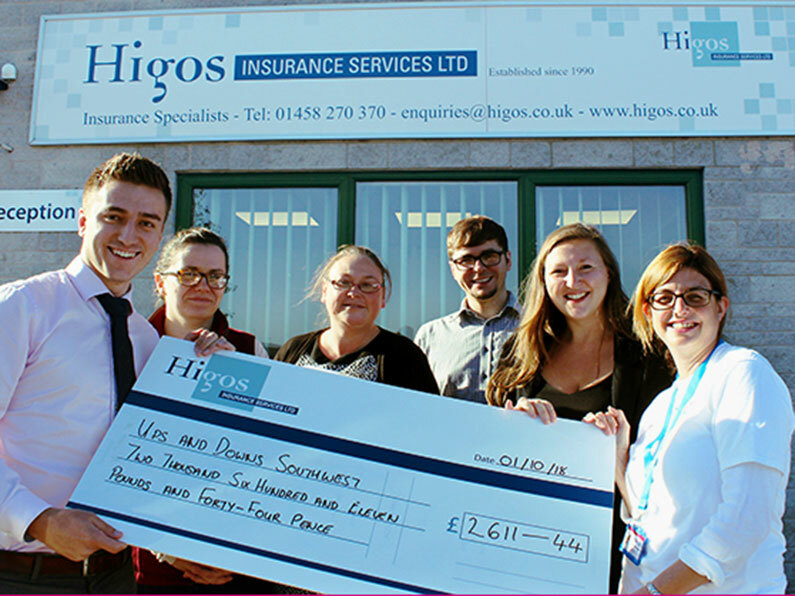 The teams were from the Higos Yeovil and Bridport branches, as well as a team, made up of members from The Higos Community Fund Charity Committee. The challenge which lasted until August gave each team £21 starting cash to raise as much money for the charity as possible.